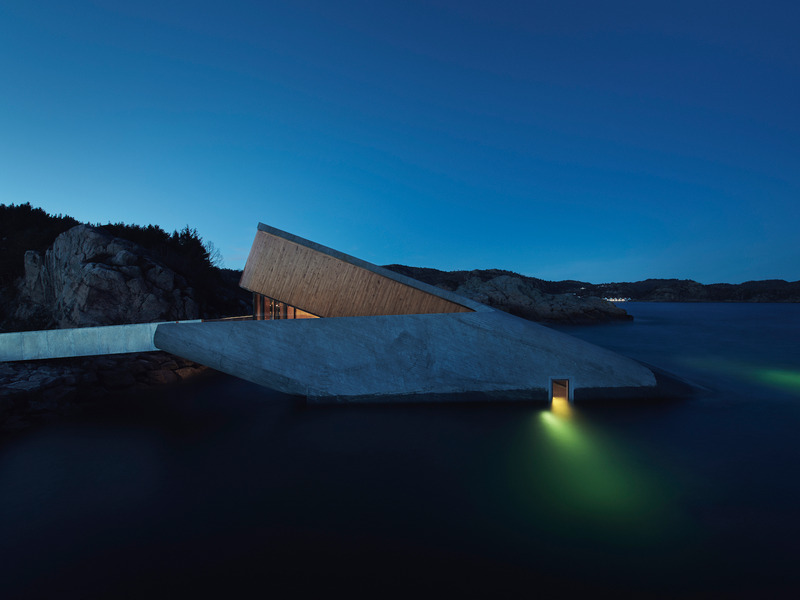 Norway just opened Europe’s first underwater restaurant. Fittingly called “Under,” the restaurant — the largest of its type in the world — has three-foot-thick walls and is designed to withstand harsh weather and rough seas. The 110-foot long structure resembles a giant concrete tube that’s half-submerged in the water. The restaurant seats 35 to 40 guests each night, who can watch sea life go by through a 36 x 13-foot panoramic window as they eat. Europe’s first underwater restaurant — and the world’s largest — just opened in Norway.